With online search tools and DNA testing, tracing family tree genealogy is easier than ever. What’s a writer to do when a famous or (infamous) skeleton is found lurking in the closet? Write about it, of course! Canadian author Debbie McClure is known and loved for her paranormal romance books. Louise Rasmussen (Countess Danner from Denmark) has been part of Debbie’s oral family history for as long as she remembers. This year, she published The King’s Consort: The Louise Rasmussen Story. I asked Debbie if she’d share her process for bringing biographical fiction to life. When did you first become interested in Louise Rasmussen? I was a teenager when my mother told me a remarkable (true) love story about a woman who we might be related to. Louise Rasmussen, was born in Denmark in 1815. She was the illegitimate daughter of a seamstress. Louise rose to become a ballerina, then married King Frederik VII. How did you know that you were ready to write this book? What were the first steps? When I was a new writer, that seemed like a huge, insurmountable task, so I wrote two other books first to gain some much needed experience and shore up some confidence. Paranormal romances were fun to write, and during that process I learned how to research the past and weave myriad details into a cohesive story. By the time I announced my decision to write Louise’s story, my mother was well into her seventies. I asked her whether or not she believed her aunt’s claim that we may be related to Countess Danner. She admitted she really wasn’t sure, but thought it may be true, since her aunt had no reason to say such a thing if it wasn’t. There had also been talk of some sort of written evidence of that relation in a family bible or genealogical tree. Unfortunately, much of the details about distant family relations had been lost by then. I then asked my mother to write out the names, dates of birth and deaths, to the best of her knowledge, of her father, grandfather, etc. In going through old photos, my mother came across an old newspaper article about my great-grandfather in Denmark. That article provided some extremely useful information on who he was, his birth and death, and also information on his parents, so this was a wonderful find. Hans Rasmussen (death notice June, 1952). Farfar – Debbie’s great grandfather. I also contacted a cousin in Denmark who is extremely interested in genealogy and history, and asked her to help. Using the internet and on-line documentation, we were able to trace our lineage back a couple of generations, but that was as far as we got. I will admit that by that time, the idea of writing Louise’s story became more important than tracing my family’s heritage, so I let that one simmer for a while, knowing I would pick it up later. Would you take us through your research process? To begin writing the story, I researched everything I could find on Louise, King Frederik, and her ex-lover/lifetime friend, Carl Berling, and the people they shared their lives with. I maintained an outline and profile on my computer for each and every person I included in the story, including details about hair and eye color. I also created a separate time-line for events, both historical and political, or events relating to each character’s personal history. As I often explain to new writers who attend my workshops, outlines are great references when writing anything from fiction to non-fiction. 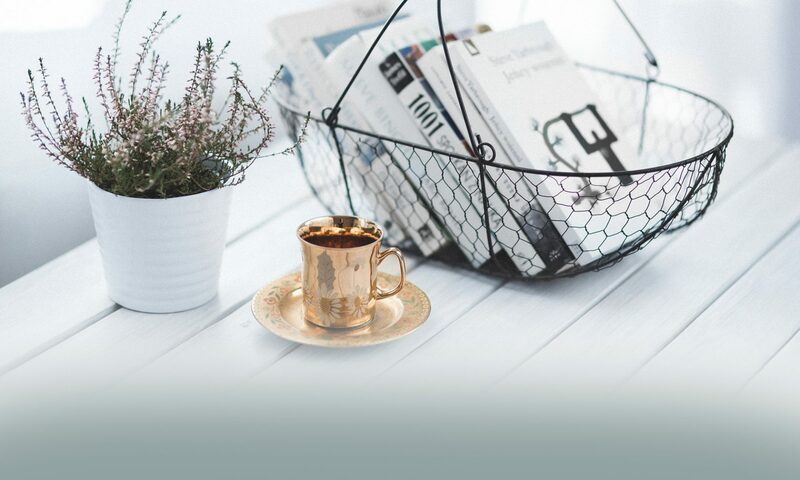 It allows the writer to dip in and add or delete details as needed, or to check in to ensure the story is following the designated time lines and story arc. I use folders in Word on my computer, but hard copies in real file folders works equally as well. The truth is, whatever works for the writer is just fine. I typically do mine in point form, for ease of reading, adding or deleting points, but again, whatever works. I know some writers who use story boards and photos, but I’m not as familiar with this, so can’t really comment. Whenever I come across a picture or profile I’m interested in, I save it to my computer for easy reference later. Keep in mind that later can be months or years later, depending on the scope of the project. These are my vision cues, and I reference them often when trying to describe a person, place, or scene in a novel. 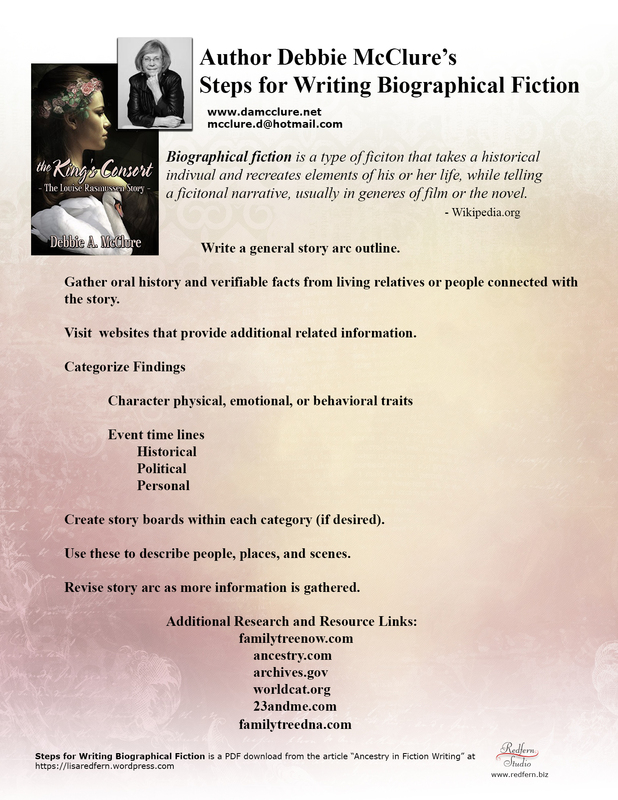 Click here to download a PDF of Debbie’s Steps to Writing Biographical Fiction. Were you surprised by anything that you found? My research confirmed that the history books paint Louise much as my mother described. This lady wasn’t well liked. She was considered a crass, avaricious gold-digger. She was ostracized by the aristocracy, laughed at, and publicly ridiculed. Undeterred, I dug deeper, convinced there was more to this woman than history reported. Early in Louise’s life, she had a very public affair with the well-known heir to one of Denmark’s most prestigious newspapers, Berlingskes Politiske og Avertissements Tidende (Berlingske Tidende 1936-Present). She gave birth to Berling’s illegitimate child, but was forced to give her infant son up for adoption or risk social and economic disaster. Her heart must have broken, but I believe she did so hoping to give him a better chance at life than she thought she could provide as a young ballet dancer. Now this was a woman who could have done anything she wanted with the money and home she received at the king’s passing. She didn’t have to give anything back to anyone, but she did. In fact, she dedicated the rest of her life to getting “Danner House” (Dannerhuset), as it is commonly called, up and running. Something didn’t add up. Did gold-diggers really give back to others so unselfishly? Research begins to tell its own story. The writer is simply along for the ride. Clues are followed and hypotheses are formed. So, I continued to dig, and to form my own vision of who Louise was, based on the fact that by all accounts, King Frederik VII absolutely adored her. He was a remarkable man in his own right, and fought for the rights of the people of Denmark, abolished absolute monarchy, and apparently valued and sought Louise’s opinion on many political matters. After fact gathering and history time-line making, how did you fill in the emotional blanks? With historical fiction, we can never know exactly who said what to whom, or when. We can’t possibly know what people thought, or how certain events affected them on a personal level, but we can put ourselves into the shoes of those who lived many years ago and imagine. Historical fiction, or creative non-fiction, if you prefer, does just that. It weaves a fictional story around facts, people, and places that actually existed. It isn’t meant to be a history text book, or even be clinically factual. “Louise was an incredible woman who learned to follow her own instincts. She gained my admiration and remains an inspiration to woman today who refuse to give up, who rise to the challenges they face in their lives, and who choose to do what’s right over what’s easy,” says Debbie. Are you planning to return to your family genealogy research? Now that I’m past the first flush of excitement of publication, I’ve begun working with my mother and family in Denmark again to delve into the truth of our heritage as it pertains to Louise Rasmussen, Countess Danner. I also recently learned that Louise and Frederik may well have had a female child of their own. Being a girl, this child posed a serious threat to the security of Denmark at the time, and was ostensibly exiled at birth. If this is in fact the truth, again, how devastating for both Louise and King Frederik. Historical research can be like hunting for four leaf clovers. It takes patience, tenacity, thoroughness, and organization. When answers are found and discoveries are made, additional leads can point down endless roads. An outline will help an author decide when enough research is enough. Then there’s noting left to do but get down the business of writing…breathing life into the story that you’re about to tell. Travelers to Denmark can still walk in the footsteps left by Countess Danner and her King. Below is a list of places mentioned in The King’s Consort: The Louise Rasmussen Story and a google map showing their locations. Danner House still exists in Copenhagen today, and continues to carry the vision of Countess Danner by helping women cope with abuse trauma and unwed pregnancy. Jaegerspris Castle, Amelienborg Castle, Frederiksborg Castle, the Hans Christian Andersen Museum in Odense (just outside Copenhagen) are open (or partially open) to the public. I am so blown away and proud of this article/interview with me by author/artist, Lisa Redfern. It is chock full of useful information, Google Maps to locations in Denmark mentioned in The King’s Consort-The Louise Rasmussen Story, and so much more! I couldn’t be more honoured to have inspired such an undertaking. Well done, Lisa! This was such fun to work on with you, Lisa! Thank you for the opportunity and all your hard work.